Just in case you didn't know, as a retail business owner, you are in a relationship with your customers. It is more than just making sales and hitting targets, it is also about creating meaningful connections. Just in case you didn't know, as a retail business owner, you are in a relationship with your customers. It is more than just making sales and hitting targets, it is also about creating meaningful connections while giving value to your customers. With Valentine’s Day just around the corner, here are five tips to help you win the hearts of your customers. 1. 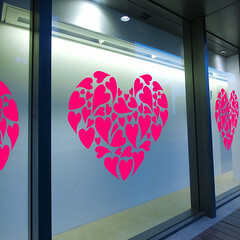 Collaborate with other business outlets for a Valentine’s Day sale. Who doesn’t love a good sales day?! Valentine’s Day is the first customer holiday of the year and there is no better way to say I love you than a price slash! This could also be the sales boost you need, so everybody wins! You could even put a cherry on top by collaborating with other business outlets to give your customers the ultimate experience. For example, you can consider partnering with jewelry brands, florists or a bakery, or other brands that share a similar vision with your business. Emails are not just an awesome marketing strategy, they are also a great way to interact with your customers. This Valentine’s Day, send a heartfelt email to your customers telling them how much you appreciate them. You can turn it up a notch, by compiling a gift guide depending on the product you sell or the service you offer. Make it catchy and original! It is no lie that your employees are actually your first customers. Hence it is important to show them how valuable they are to the successful running of your business, by taking advantage of such holidays to give them a treat. It could be cupcakes, free lunch or discount codes for their loved ones. Whatsoever you decide, you must ensure that they don’t miss out on the love. Happy employees lead to even happier customers! Increase your engagements by asking your customers to share their love stories. Everyone is usually in a jolly, lovey-dovey mood during Valentine. Make February 14th fun by encouraging your customers to share their love stories. Give them an incentive to share by offering a prize (or prizes) for their stories, but remember to give some forethought to how you will go about selecting the winner. Posts like this don’t only encourage engagement, they are also more likely to be shared, promoting brand awareness. Valentine’s Day is a great time to show that you care. Support a local charity this Valentine by giving them a percentage of proceeds from Valentine’s Day sales, or by providing them with merchandise for sale. Spread the love this Valentine. We hope this article helps, if we missed out on some other tips, do share in the comments section below. Happy Valentine’s Day!